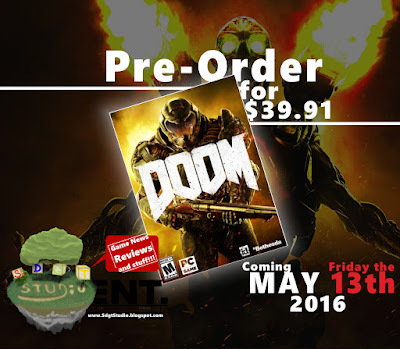 Super Duper Gamer Team Entertainment: Doom is coming + VR Action + BLACKROOM: Holograms gone bad! Doom is coming + VR Action + BLACKROOM: Holograms gone bad! Are your palms sweating already? Games release on various days... but I like what Bethesda is doing with DOOM specifically releasing it on a Friday the 13th. I have never mentioned this before but I really enjoyed these days as a kid... not from a Goth point of view, but because of all the horror movies that would be shown on TV. So I think that they picked one if not the best release date (beyond Halloween) for this game. Friday the 13th always had that Halloween feel anyway, minus the costumes & candy that some of us would indulge in. At this time... we don't know if DOOM has or will have VR support, but... DOOM has an incredibly dedicated community and... I think that in the name of that community there should be VR. Bethesda should do a poll. Anyway, if you want in on doom at the price in the image... check it out here. Speaking of VR, if you don't have a sound proof room to game in, a mouth gag in place, or you simply don't know how to use... your indoor voice... it might not be the best move to play a horror game. Perfect example is the girl playing a horror game in VR in this video... jeez. 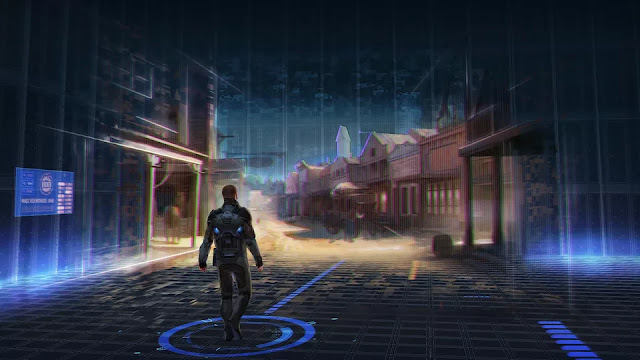 By the way... the creators of Doom (John Romero & Adrian Carmack) are back at it again... working on a new FPS titled "Blackroom" (at least at this time) taking a more... holographic approach. They are seeking $700k worth of help via KickStarter and if you'd like to see them bring this game to life... check it out. They want to go back with this game... as long as that doesn't mean visually and movement wise because some of the older games are really stiff. They are allowing you to create your own maps, run your own dedicated servers and mod it up on PC. John Romero reminds me of one of those old school rock fans/gamers keeping old school... kick a** alive and well. To keep the VR action going... check out this announcement trailer for a PvP VR survival experience titled "Detach" and... Pre-Order here for $20.34 (USD) if you fancy.